Negotiations for a pact between Asean nations and China aimed at easing tensions in the South China Sea are to begin later this month, said Defence Minister Ng Eng Hen early today at the Munich Security Conference in Germany. As the domestic construction industry is struggling and shows no sign of reviving, South Korea seems to have decided to look outside the country to overcome difficulties. 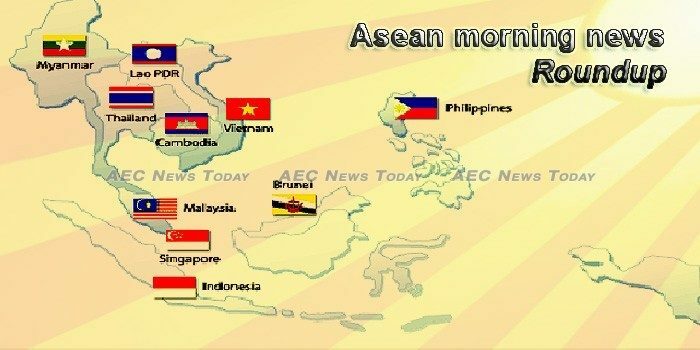 In particular, the country is moving to beef up its presence in the Association of Southeast Asian Nations (ASEAN). Southeast Asian governments are expected to spend more this year as they try to prop up growth and address domestic challenges, unnerving market players who fret that heavier spending and falling government revenues will combine to upend the region’s economy. IF JANUARY developments are any to go by, 2019 looks to be a year of heightened volatility with risk themes across rates, trade, and general economic growth continuing to ebb and flow in the global financial markets. A regional consultation workshop has gathered signatories to the United Nations Convention on Biological Diversity (CBD) and international organizations in the Asia-Pacific region to discuss opportunities and challenges for mainstreaming biodiversity in the region. HONG Kong, the Special Administrative Region (SAR) of the People’s Republic of China, attaches great importance to ASEAN including Brunei Darussalam. Trading of timber in Southeast Asia will soon be more efficient as experts in the region are consolidating the database of timber species being traded in the region. More than half of the population of Southeast Asia is under the age of 30. Therefore, it stands to reason that this segment of the population will have an outsized influence in coming political contests. The African swine fever has crossed over to the Association of Southeast Asian Nations (ASEAN), prompting the Philippines to further tighten security by banning pork imports from neighboring Vietnam in efforts to protect the P200-billion local hog industry. Social Security System (SSS) members and their employers in the Philipines will shell out more for their contributions as the rate will increase to 12 per cent, a move that the state-run pension fund’s chief said would replenish the fund life by six years. ASEAN is once again in the spotlight for all the wrong reasons, this time after the newly formed Alliance to End Plastic Waste (AEPW) singled out the region for its disproportionate contribution to plastic waste in the environment – especially the ocean. Southeast Asia is a growing region with countries here averaging growth rates of 5.1 percent. Vietnamese expats from Laos and Thailand gathered in Ho Chi Minh City on February 17 for the annual Lunar New Year meeting. The city will host ASEAN Chambers of Commerce & Industry Business Meet, under the aegis of the Federation of Karnataka Chambers of Commerce & Industry (FKCCI), between February 25 and 27. Workers speak of an industry beset by forced overtime, unsafe working conditions and the obstruction of unionisation. In March 2018, the Cambodian government announced its intention to be ready to transform into a digital economy by 2023. A 10-year-old girl died in Svay Rieng province on Tuesday after contracting rabies from a cat bite in early December last year. Indonesia recorded a trade deficit of US$1.16 billion in January 2019, up from $1.03 billion in December 2018, according to the Central Statistics Agency (BPS). The Health Ministry has said that, from January to February this year, 628 people were infected with rabies nationwide, with at least 12 cases that turned fatal. Gayatri, who only wants to be referred to by her first name, considers herself a “normal” practising Muslim woman. Education authorities have given approval for some private colleges to raise their status to private education institutes so they can recommence bachelor and higher level courses. LAO AUTHORITIES say negotiations have begun over compensation for the victims of last summer’s Xe Pian-Xe Nam Noy Dam collapse, but environmental activists and rights campaigners want the dam’s backers to do more than just pay out money – they should help restore their livelihoods, too. People living alongside a 9.4-km road that is in the process of being upgraded have taken to social media to express their dissatisfaction with the perpetual clouds of dust that engulf them while the road remains unsurfaced. Malaysia has opened bids to undertake RM2 billion of solar projects this year, a move analysts said will open up more opportunities to power sector incumbents and new entrants. A mosque in Kuala Lumpur on Friday (Feb 15) introduced a new and novel way to offer rice to the needy – via a specially designed Automated Teller Machine (ATM). A high net foreign fund outflow of RM263.5 million was recorded between Monday to Thursday, a level last seen since the third week of December 2018, as investors recalibrated their investments due to periodic adjustment within the region this week. Myanmar hit USD196 million in its trade with Vietnam by December 2018, marking a great surge in business between the two partners during the current 2018-19 fiscal year. The Mandalay City Development Committee has installed a fleet management system in more than 250 garbage trucks to improve management, said MCDC member U Kyaw San Myint. Two men have been sentenced to death in Myanmar for the murder of a Muslim lawyer, Ko Ni, in broad daylight at Yangon International Airport in January 2017. Nick Beake reports from Yangon. Overseas Filipino workers (OFWs) sent home a record-high $3.2 billion in the month of December alone, bringing the total remittances for 2018 to a new record of $32.2 billion, House Committee on Banks and Financial Intermediaries chair Henry Ong said on Sunday. Duterte has vetoed a provision of the Tax Amnesty Bill which grants a general amnesty program for taxpayers with unsettled obligations, the Department of Finance (DOF) said over the weekend. Philippine Drug Enforcement Agency (PDEA) Director General Aaron Aquino said politicians could be using drug money in campaigning for the May 2019 midterm elections. Singapore Finance Minister Heng Swee Keat will aim to strike a delicate balance in Monday’s budget: preaching fiscal prudence while doling out more social spending ahead of elections that could come as early as this year. Singapore’s minister for defence Dr Ng Eng Hen announced in his total defence day message that in light of increased digital threats, cyber security will be added to the city state’s total defence framework. Singapore is second in the world and top in Asia in terms of its readiness to adopt autonomous vehicles (AVs) on the strength of its government, infrastructure and consumer acceptance, according to a report by KPMG. Fifty per cent chance this year could be the second hottest ever. Thailand’s annual elephant polo tournament might have passed into the annals of history, but that hasn’t put an end to Anantara Hotels, Resorts & Spas support for Thailand’s elephants. The Ministry of Industry and Trade will transfer State capital ownership representative rights in five enterprises to the State Capital Investment Corporation (SCIC) in the first quarter of this year. The Vietnamese government issued Decree No.13/2019/ND-CP (“Decree 13”), which provides preferential treatment such as corporate tax cuts and exemptions, credit incentives, and exemption or reduction in land and water surface lease fees for science and technology enterprises. Vietnam might find it difficult to maintain its aviation safety rating due to a lack of qualified personnel, experts caution.